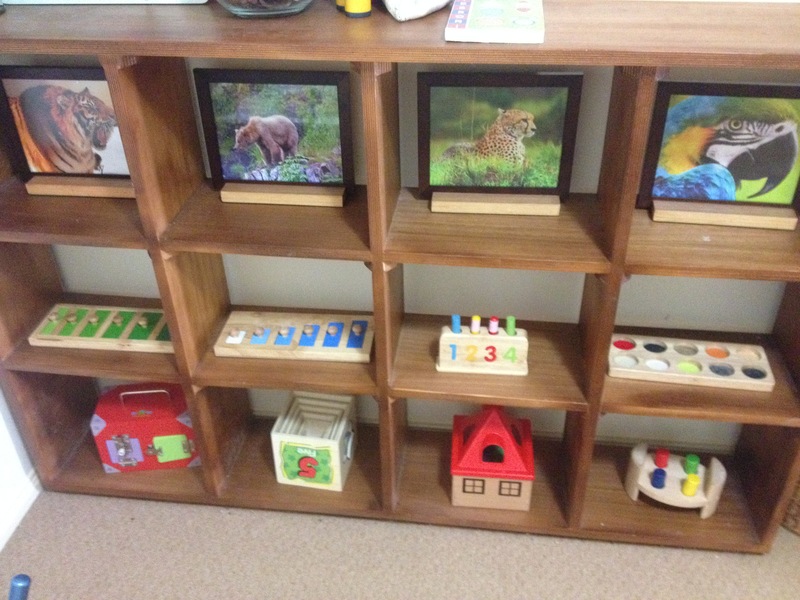 This is a shelf I have had set up for my three year old and fifteen month old in the playroom. I have tried to keep it simple with not too many toys or materials out at one time. I have also tried to keep it balanced for both age groups which is not an easy task. Most of the items on this is meant to be for open play. 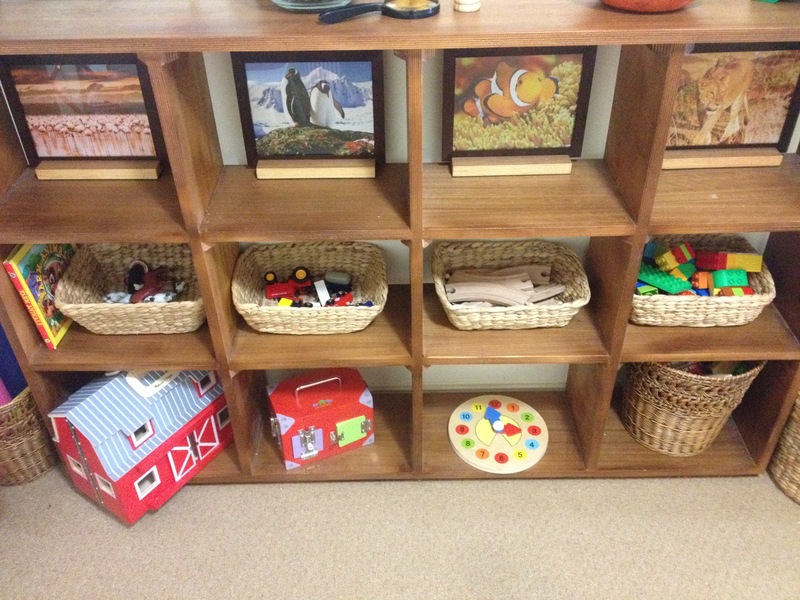 Special materials for my three year old and art materials are kept elsewhere. 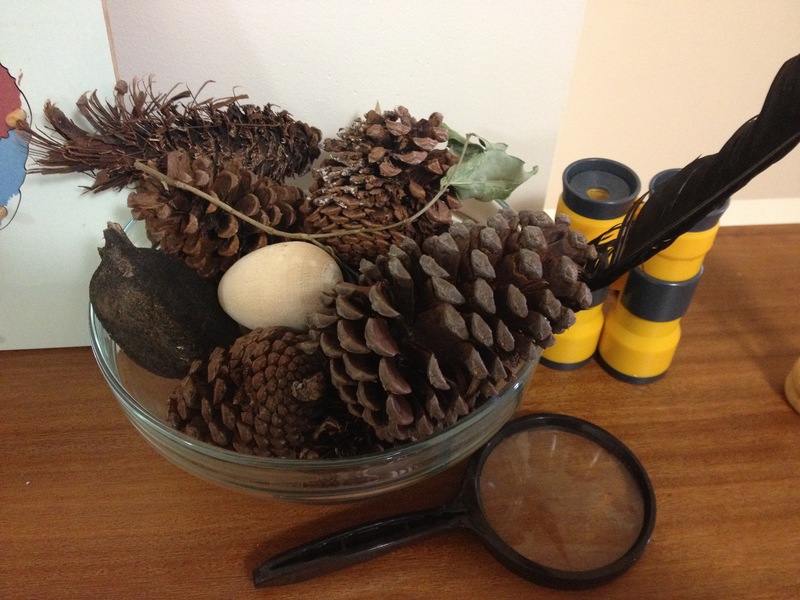 On the very top of the shelf I usually display items such as a world globe, Australian puzzle map and some nature treasures in glass bowls or jars (shells, pinecones) etc and a magnifying glass, wooden egg timer and a balance bucket. The top shelf I have some pictures displayed in picture frames. I use old calendar pictures. My fifteen month old loves to point to the pictures and ask what they are. I change these pictures on occasion. 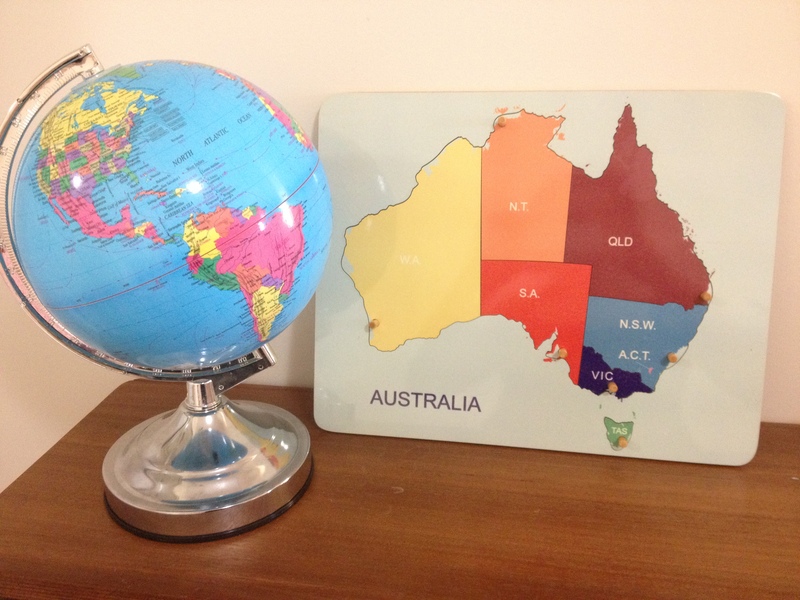 World Globe and Australian puzzle map. 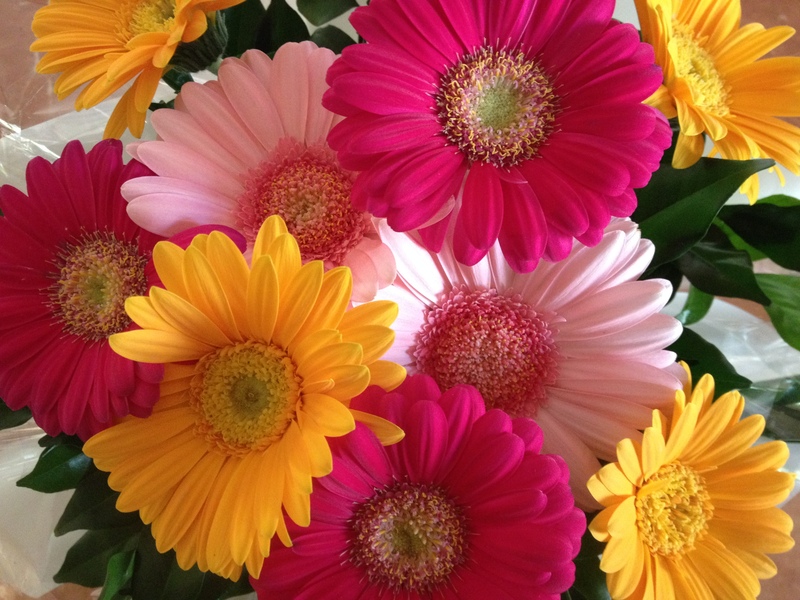 Some beautiful flowers that were given to us as a gift. These flowers are currently displayed on the top shelf. 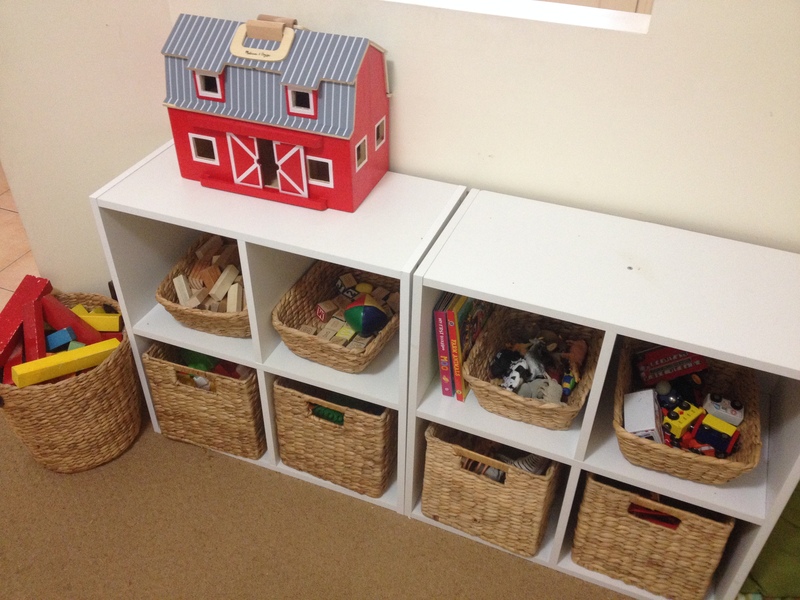 On these two shelves on the left we have some farm animals which go with the play barn below it. 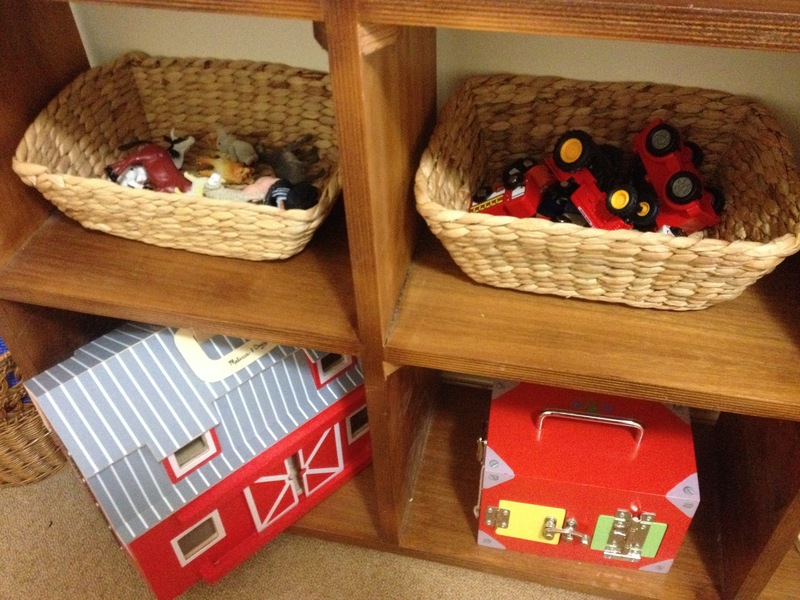 On the right side of the shelves we have magnetic trains, cars and a tractor which often gets used with the barn. On the bottom right is a lock/latch box. On the left side we have train tracks, enough to make a complete circle shaped track and a play clock. 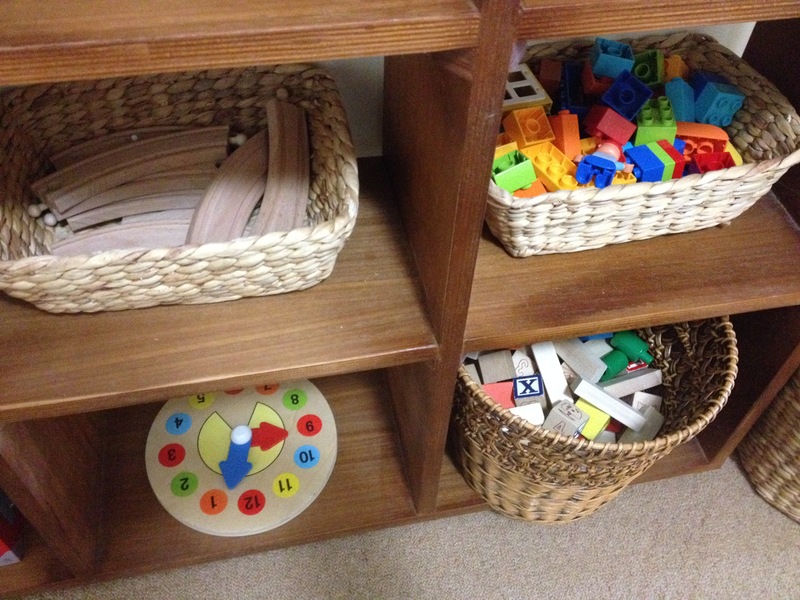 On the right side is some duplo blocks and some mixed wooden blocks (alphabet blocks, jenga blocks) etc. 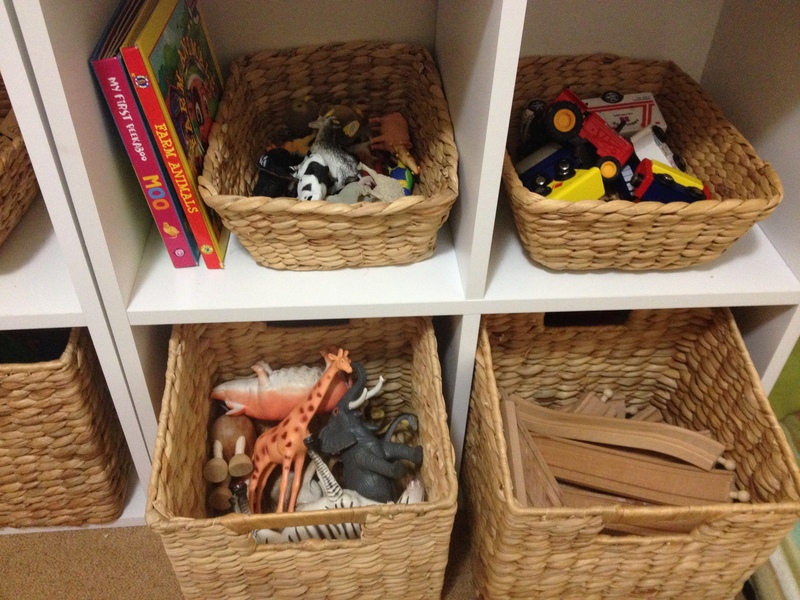 I have been slowly reorganising the kids play/work spaces. I have decided at this point in time that I would make this shelf a space for my almost 18 month old. Sensory touch and feel puzzle. This is a match up puzzle but I have left just the tray out for now. A combined space for both of my children. Still work in progress. 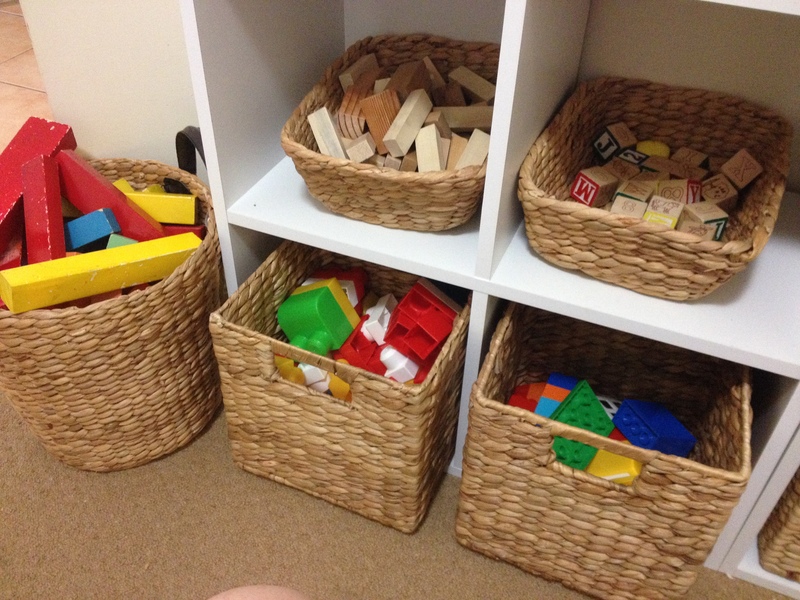 Basket of wooden blocks, hand made.